James Goldthorpe was the second son of James Goldthorp and Grace Horn. James married Harriet Holmes and they had two children Cyril and May. 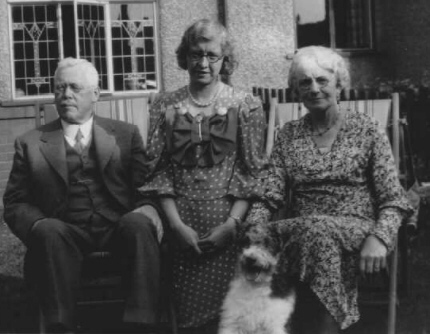 The photograph above of James with his wife Harriet, daughter May and Spot the dog was taken in the garden of their home sometime in the mid 1930's. 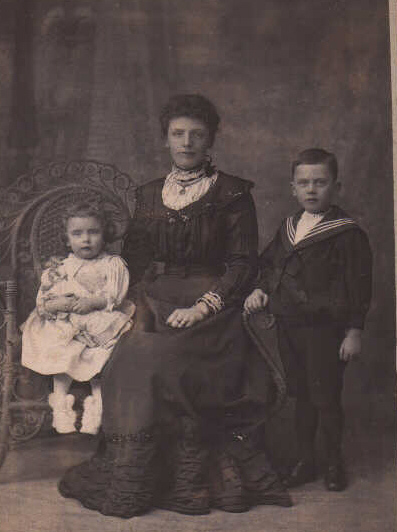 This photograph taken around 1900 shows Harriet with May and Cyril. In June 1921 Cyril Goldthorpe was appointed to the post of Northern Union auditor.